Topics: Accueil, Tarification, Formation, Téléchargement, Soutien Technique, & Foire Aux Questions. 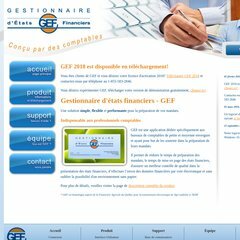 etatsfinanciers.ca !Améliorer votre présentation des États financiers GEF ..
Its 2 nameservers are galilee1.sogetel.net, & galilee2.sogetel.net. Its IP Number is 69.51.204.251. It is hosted by Sogetel Inc (Quebec, Nicolet,) using Apache web server. PING (69.51.204.251) 56(84) bytes of data. A ping speed test response, is timed at 36.9 ms.